Extract tamarind juice from the soaked tamarind pieces and keep aside. Heat oil in a kadai,add mustard and methi seeds wait till it pop and add jeera,hing,pepper corns and fry well. Then add onions,garlic and curry leaves ,saute them well. 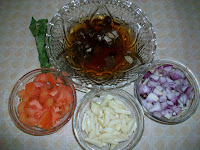 Fry till onion and garlic get transparent and add the chopped tomatoes. Saute the tomatoes until it gets mushy. Then add the dry powders-turmeric,chilli and coriander powder,fry well do not burnt. And add the tamarind juice stir well. Add 1-1/2 cup of water ,enough salt and stir well. Keep the heat in medium or low and allo to boil for about 10minutes. Then add 2tsp of sesame oil ,stir well and cook for few more minutes or till oil starts separates from the kuzhambu. Lastly add some chopped coriander leaves and turm of the stove. Let it be in the stove for some minutes. After that the Puli Kuzhambu is ready to serve . for rice serve with papds\appalam ... very nice combination. It goes well with soft idly,dosa,Paniyaram,Aappam etc. You can also add a small piece of jaggery after adding the sesame oil. And vegetables like okra,brinjal,drumstick and dried beans like black beans, red beans, kala channa can also be added to this Kuzhambu with or without coconut paste. 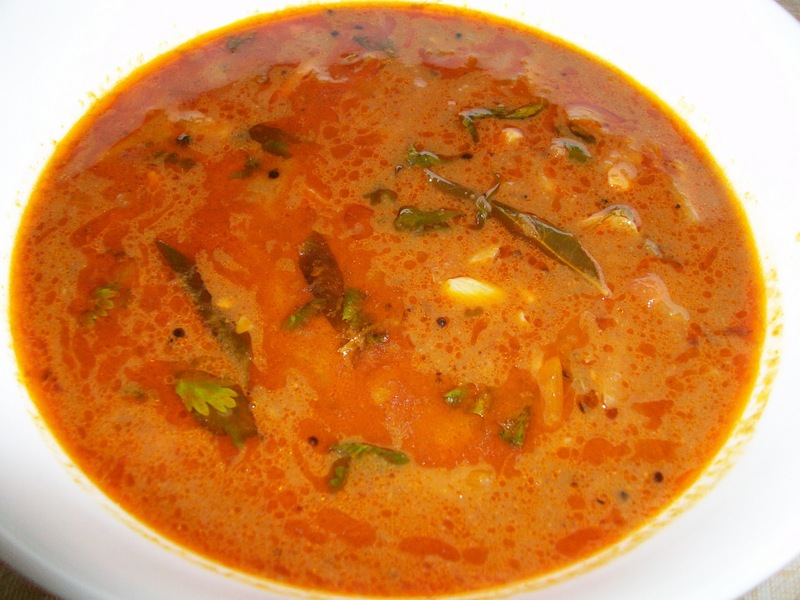 If you don't have kuzhambu milagai thool, you can use 1 tsp sambar powder, 1/2 tsp chilli powder, 1/2 tsp cumin powder along with above other ingredients. I tried this for blog hop and it was absolutely yummy with a perfect tangy and spicy balance.. 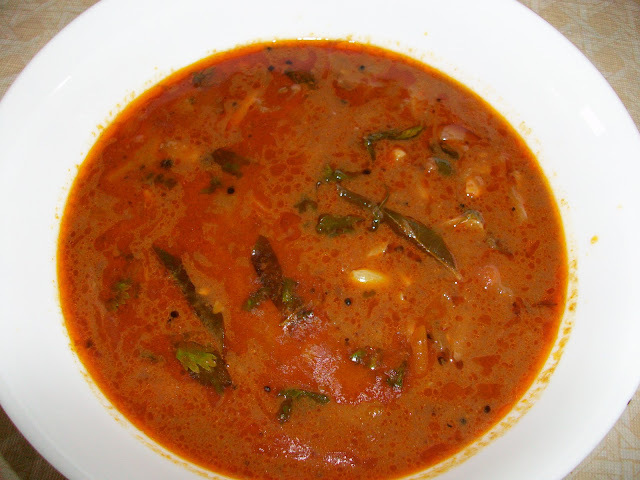 Ohhhh....Thank you so much Ramya...so happy to hear that u loved this kuzhambu..thanx a lot Ramya!! !